Roo’s Roller Skaters are a duo of Roller Skaters who enchant, excite and amaze the audience with their rollerskating skill and charm. They are available to hire for corporate parties, balls, product launch parties, film premieres, anniversaries and weddings. These corporate entertainers really know how to keep your guests entertained. 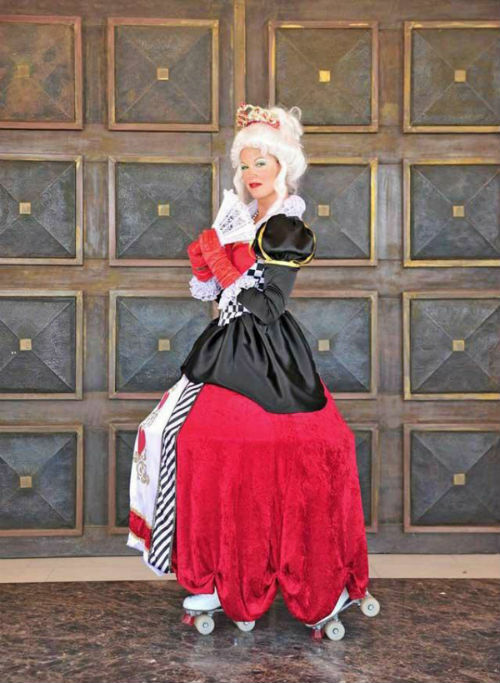 They are available to hire in a variety of costumes. These two really do “love to be by the sea side”. Complete with silly sea side props and vintage bathing suits. Idea for any seaside or nautical summer event. 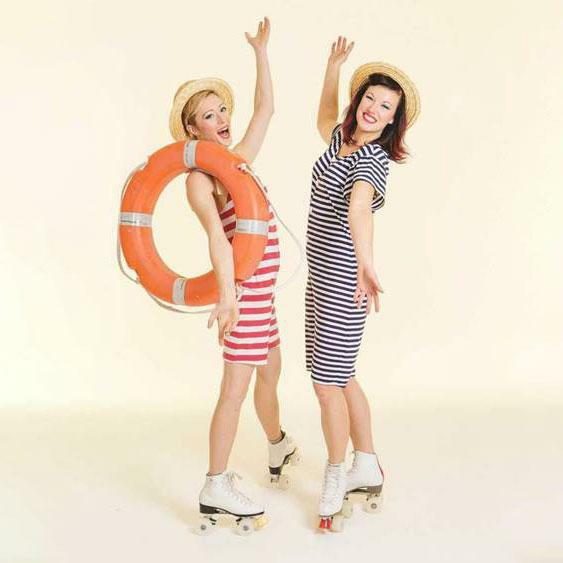 Fresh ‘ n ‘ Fancy 50’s style roller costumes ideal for summer or christmas events. Gorgeous chic light up fascinators and dresses. 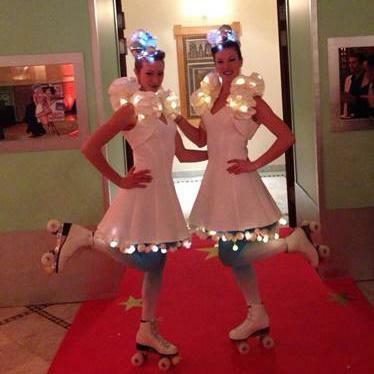 Cover more ground at your event with our very mobile interactive Rollerskating characters. Bringing smiles and silliness further a field. You have the option of basic balloon modelling as well. Our cheeky Elf character has made it on to skates. Much Christmas cheer to be spread with this one.